Researchers at the University of Warwick in the UK, in collaboration with drug delivery research firm Medherant, devised the first ever ibuprofen patch. Its made out of a polymer matrix which allows the painkiller to be steadily diffused in the body of the patient over the course of 12 hours. During whole time the seemingly flimsy patch can prevent pain since its made out of 30% ibuprofen by weight. “Many commercial patches surprisingly don’t contain any pain relief agents at all, they simply soothe the body by a warming effect. Our technology now means that we can for the first time produce patches that contain effective doses of active ingredients such as ibuprofen for which no patches currently exist. 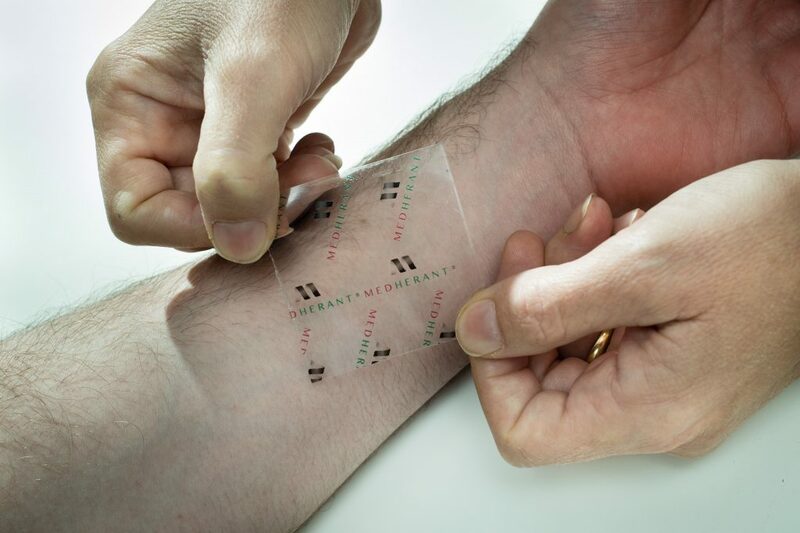 Also, we can improve the drug loading and stickiness of patches containing other active ingredients to improve patient comfort and outcome,” said University of Warwick research chemist Professor David Haddleton.